Over the past week all the joyous forms of social media have been rife with jokes, gags and criticism regarding the Horsegate scandal. For those of you that live under a rock, the denizens of Great Britain and Ireland have been thoroughly disgusted to discover that a number of supermarkets (the most notable being Tesco) have been selling beefburgers containing horsemeat. The sense of outrage has been generated by one of three things: incorrect labelling, animal rights, or possibly the fact that our Gaelic cousins do it, so it must be wrong. Strangely, the sense of outrage hasn’t been caused by the one fact that is the most outrageous about the whole affair. In fact it has been largely overlooked. Ever since the invention of advertising and marketing, labels have become largely worthless. 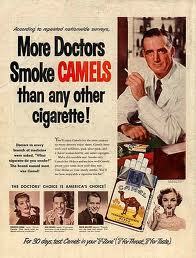 Although the days of adverts supporting smoking are long gone, the concept of not telling the truth hasn’t. This is why McDonalds adverts never feature fat children that get out of breath whilst standing in line, or why Coca-Cola doesn’t feature people with no teeth or Bell Whisky show homeless people abusing themselves at bus stops. The very concept of truth-telling in business is absurd as so many things are terribly unhealthy for us. There is more chance of the tooth fairy existing. Many newspapers have put forward the argument that people in Britain and Ireland do not eat horse because a horse is widely regarded as a companion animal. Obviously the vast majority of those that keep horses for companions have two surnames, live in mansions and have a tennis court and a swimming pool. Strangely I have never met anyone who kept a horse as a pet. They simply aren’t that much fun to cuddle up with on the sofa, and well when you forget to walk them they do make an awful mess on the carpet. If we are honest to ourselves we know deep down that horses aren’t companion animals no more than the person you happen to go jogging with is your best friend. Perhaps it is moral outrage. Would you be outraged to discover that you had eaten horse and not known it? Not really because you didn’t know about it. It’s like being angry about the second world war. You have missed the bus. It is in the past. You have eaten, digested and shat it out by now. Most amusingly, the people who appear to be the most outraged are those people reading articles by newspapers that may or may not have hacked the telephones of dead people, on their tablets or telephones that were manufactured by Chinese slaves, as they read they tut aloud and tap their feet in anger. The feet in question are adorned with american sports shoes which were made by Africans being paid less the a pound a month. Moral outrage, in an age where it’s impossible to have clean hands is nothing more than mere hypocrisy. The other aspect which is quite bizarre is what exactly people are outraged about. ‘Oh my god, I’ve eaten a meat which is completely legal and doesn’t harm my health!’. You would think that the morally outraged would be outraged at the fact that people are outraged that they have food to eat when millions of people on this planet do not. Horse is eaten in France, Italy, Asia and South America. It is not a rare and unusual source of sustenance. Let’s briefly recap. A number of people in Britain are outraged because they unknowingly ate horse. Eating horse is not dangerous to a person’s health. It is not a crime. Nor is it a sin. In fact there are no reasons why a citizen of Britain cannot eat a horse. Let’s be honest it’s not like it’s against our religion. Now that would be outrageous. Imagine if they had put pork in the beefburgers. Could you imagine the reaction of the 1.54 million Muslims and an estimated 250,000 Jews that live in Britain? The small print you don’t see in most of the news stories is that pork was also found in the beefburgers. It’s impossible to estimate the number of people who may or may not have broken their own religious vows because a number of businesses were trying to increase their profit margins. Isn’t that outrageous? Isn’t that something the morally outraged should be outraged about? I guess not. Horsegate is yet another example which highlights how far wrong our way of life now is. The idea of moral authority should be buried in a casket named the 20th century. We should be reactionary about things which matter now, not what may have mattered ten years ago. Essentially, this scandal could safely be reflected under a ‘corrupt company blames another corrupt company for doing something unpopular’ headline. As irrespective of punishment, this will never change. Businesses will always seek out ways to cut costs and increase profits. In the meantime it takes valuable attention away from issues which really matter. And that ladies and gentleman is the biggest shame of all.